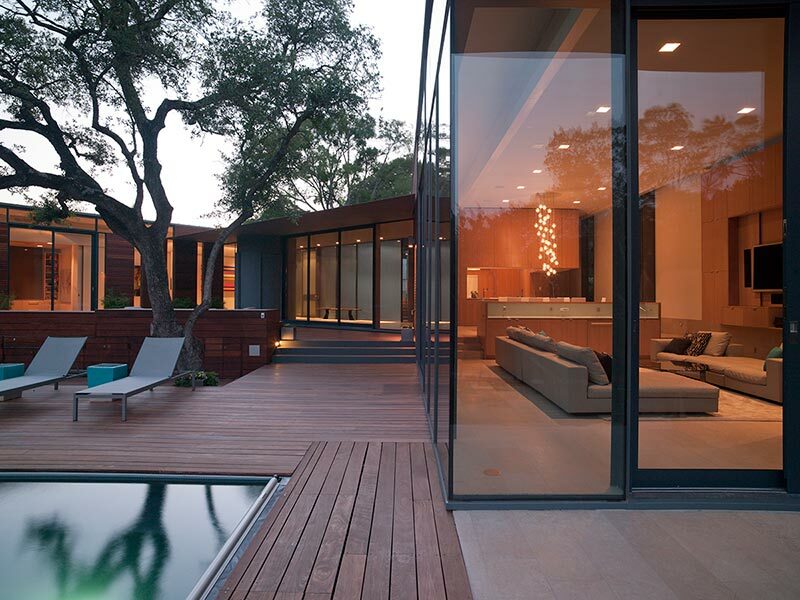 The folks at Bercy Chen Studio LP bring to Austin, Texas the Cascading Creek House; a tour de force of technological marvel all wrapped up in a modern and un-imposing package. 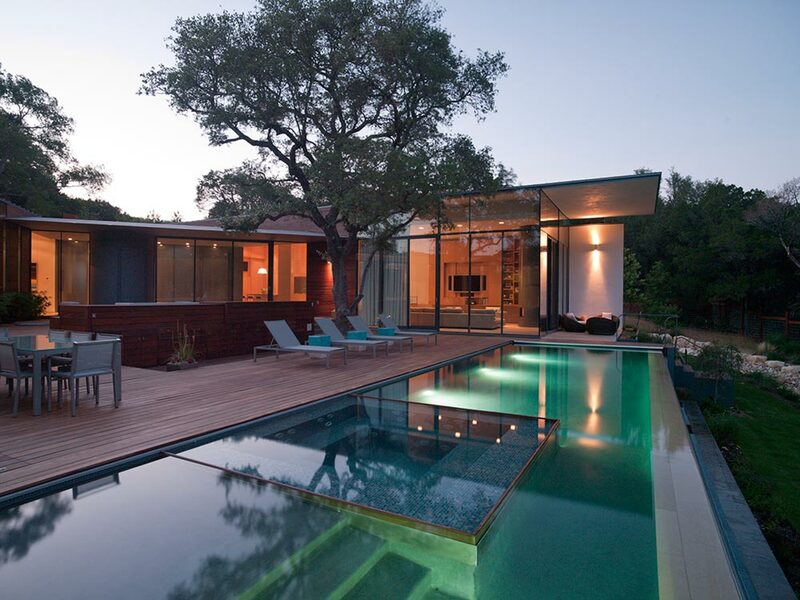 The 12,000 square foot size of the home seems to melt away into the hillside, due mostly in part to its low roofline and use of separate wings that branch out towards the horizon. Built with the surrounding landscape in mind, each of these wings has a limestone wall running down the centerline – acting as a sort of “spine” that helps to define the living and public spaces. 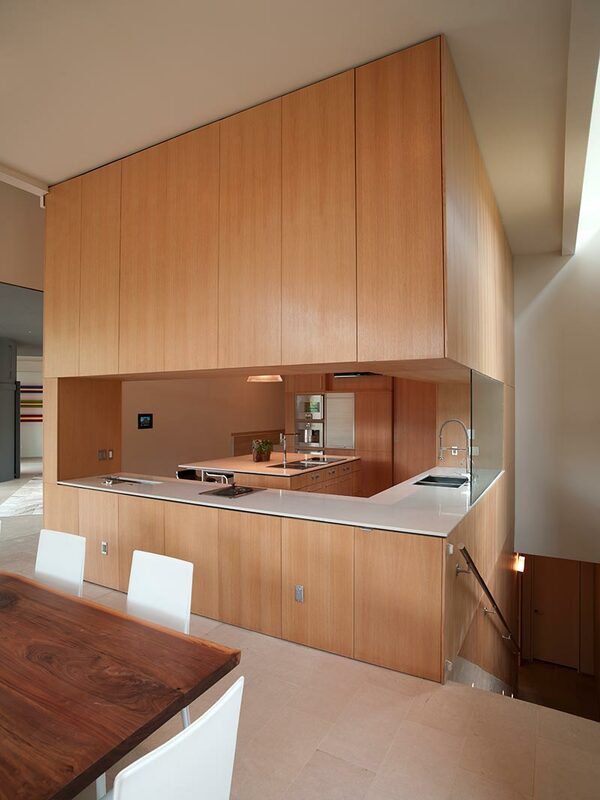 The very essence of this home is captured in the way that it works in conjunction with Mother Nature – not against it. 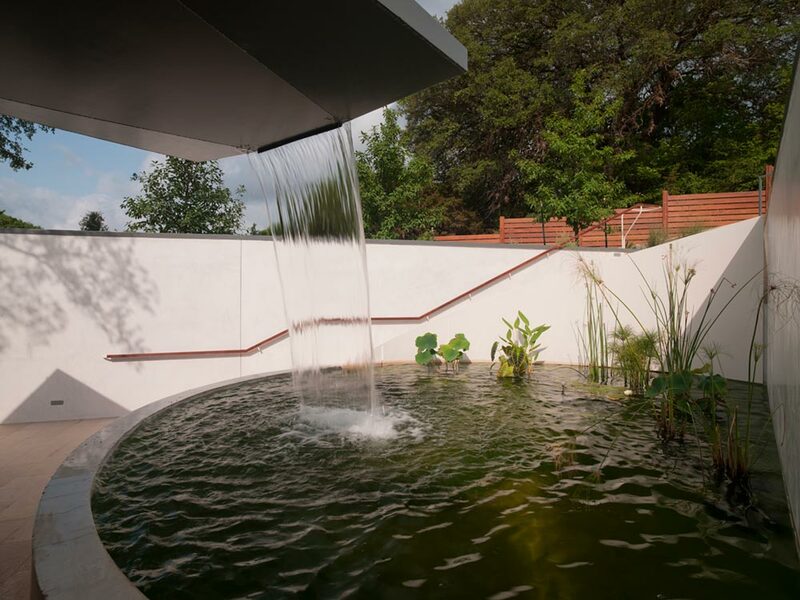 The long, gently sloped roofs atop each wing come together in a way that acts as a natural basin – channeling rainwater towards the apex for use by its residents. 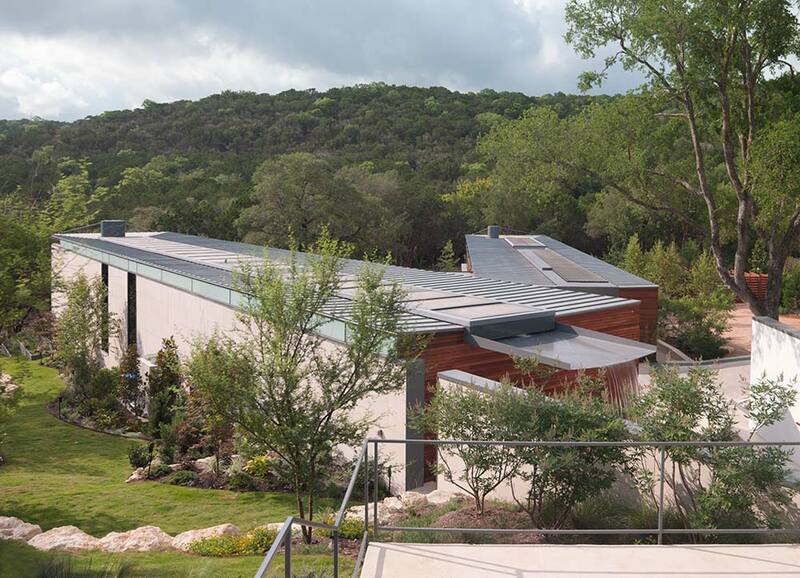 In addition to rainwater catchment, the roof also collects energy via solar panels – both for electricity and water heating. All this is then harvested for use in a complex yet eloquent climate control system. 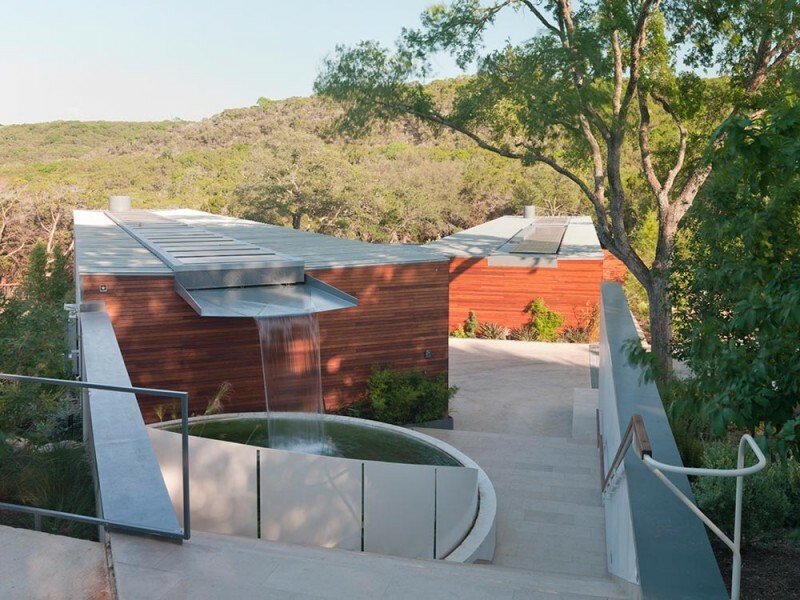 The Cascading Creek House uses both water source heat pumps and radiant loops to keep the occupants comfortable in any climate Texas can throw at it. While one could talk all day about the marvels of resiliency built into this home, technological wizardry seems to dissipate the moment one steps inside. Bercy Chen Studio chose a bright yet neutral color scheme for the interior – offset by the warmth created via the use throughout of natural woods, stonework, and glass. 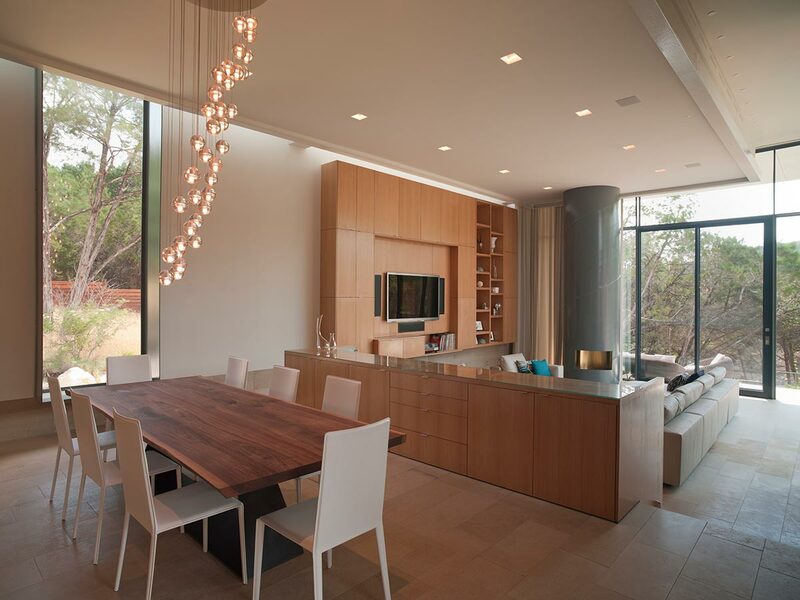 Although appearing long and narrow from the outside, each of the home’s wings remains light and airy on the inside thanks to the outward angled ceiling and full-height windows running the length of the interior courtyard facing walls. 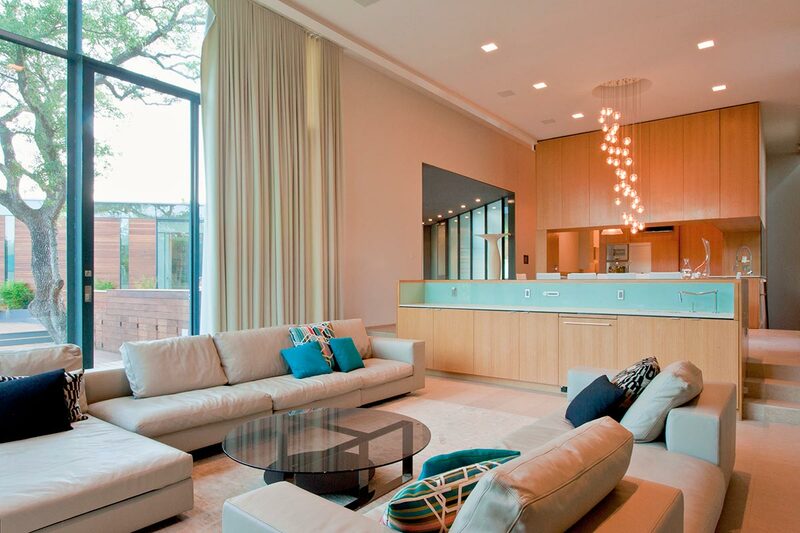 The Cascading Creek House acts as a gentle reminder that larger homes need not be ostentatious eyesores that so often dot the suburban landscape.